Many people fail to draft written contracts when getting into business deals with other people. 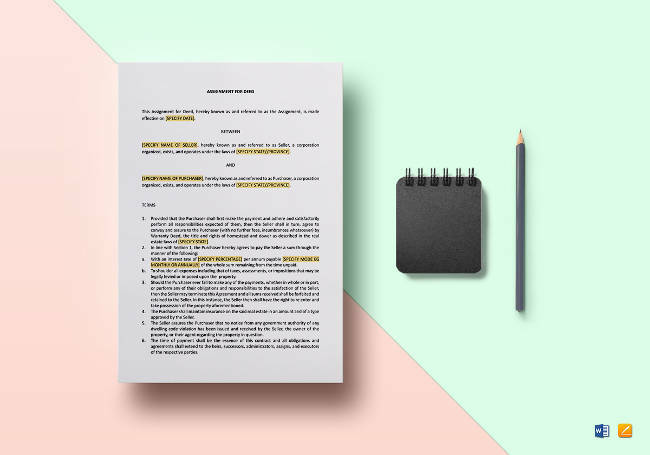 While this may seem like a sign of trust and good intentions, simple, written legal agreements can actually save you time, money, and even relationships. It is imperative that when starting new business documents such as business plans, memorandums, bylaws, and agreements are clearly outlined. Below is a small business checklist of documents that you should have at the ready to ensure that your new venture runs smoothly and legally. 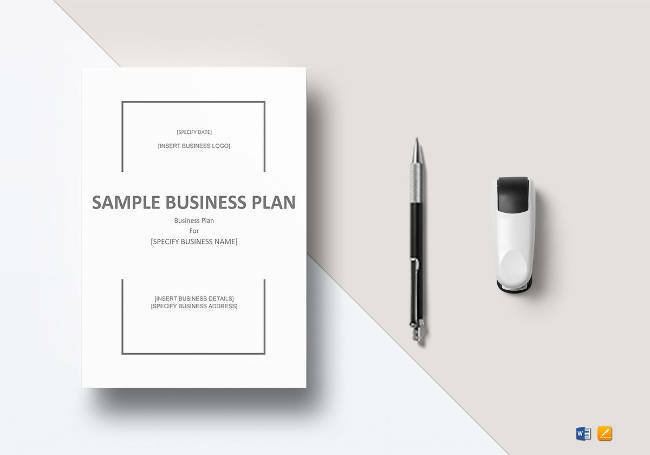 Writing a business plan can be challenging for many people because they expect to write pages and pages of details regarding how their new business idea should work. However, this is not always the case. 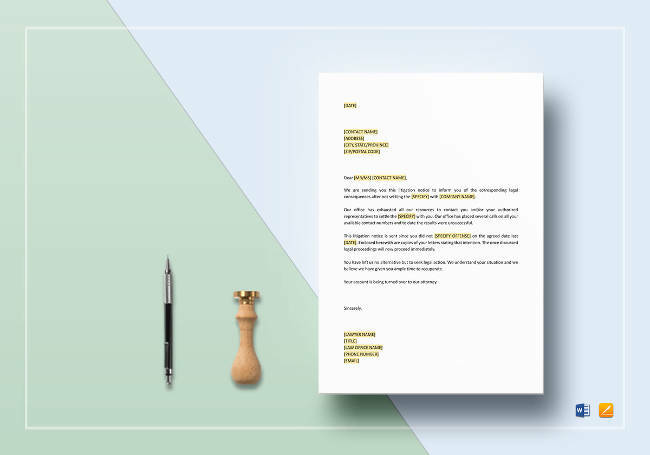 A business plan outline can be long or short as you need it to be, as long as it is followed by information that increases the clarity of deciding whether or not the business is feasible in general. It also helps provide structure for management in the long run. Not only that, business plans even allow you to create a marketing roadmap that showcases the potential of the business and help you get funding for your startup business plan when needed. The memorandum of understanding between two parties for business should describe the project that they are agreeing to participate in. The scope of this document outlines the roles and responsibilities of the participating parties and help them move forward in the right direction. 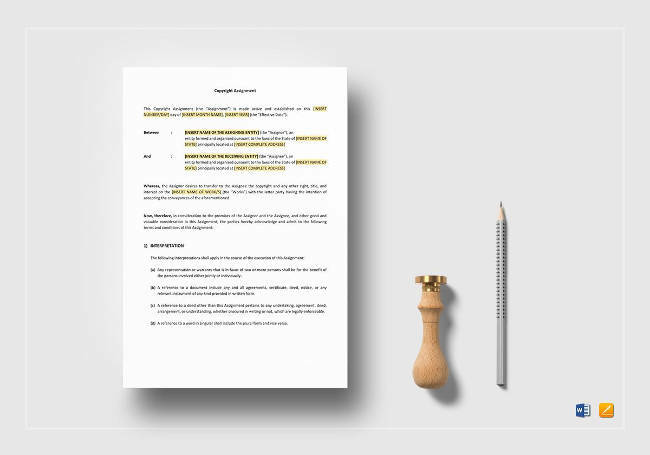 Drafted in the memorandum of understanding include the terms and details as well as the requirements and responsibilities expected of each party. While not considered a binding agreement, it is usually the first stage in creating a contract, which is why it should not be dismissed by budding entrepreneurs. Corporations have bylaws in order to maintain consistency in running their business. 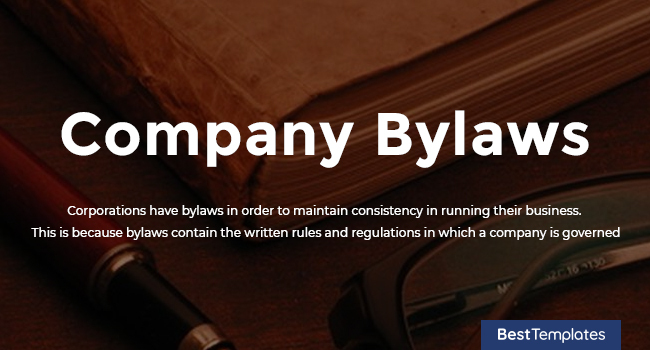 This is because bylaws contain the written rules and regulations in which a company is governed. It may also outline the corporate structure of a company and even establish the rights and powers of its managing team, including the directors, shareholders, and officers. While they are to be formally adopted by businesses, they can be amended as necessary. Using bylaws will allow companies to communicate organizational rules to help avoid potential conflict. Bylaws can be referred to in meetings and elections, as well as in the orientation of incoming officers and managers to give organization to the business operations. Businesses take competition seriously, which is why they outline non-disclosure agreements or mutual confidentiality agreements to keep their advantage from others. In working with innovative projects and ideas, they have to maintain an air of secrecy to maintain their edge. The basic confidentiality agreement is usually drafted for potential investors, creditors, suppliers, and even clients, when they are given confidential information. With the agreements in place and signed by all involved parties, there is an air of trust as theft of intellectual property is deterred. The exact nature of the information will be outlined in the NDA which can last for as long as necessary. Without this, any information disclosed in a trust can be used or made public. Penalties for breaking NDAs are enumerated in the confidentiality document, and may even include other forms of charges, including criminal charges as courts see fit. Employment agreements allow for parties to be specific regarding the details of employment, including wage rates and hours. 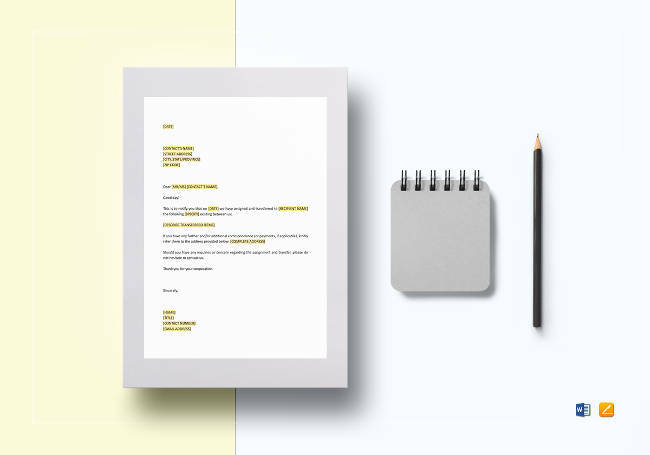 This allows them to negotiate the terms under which they agree upon working with each other, and thus, the employment agreement remain to be among the most important HR Templates, due to its frequent use. The employment agreement can also be used should there be disputes that arise in the future. In finding a middle ground in case of such disputes, an Employment agreement amendment is also a common resolution to allow parties to agree in the modification of a currently existing agreement. 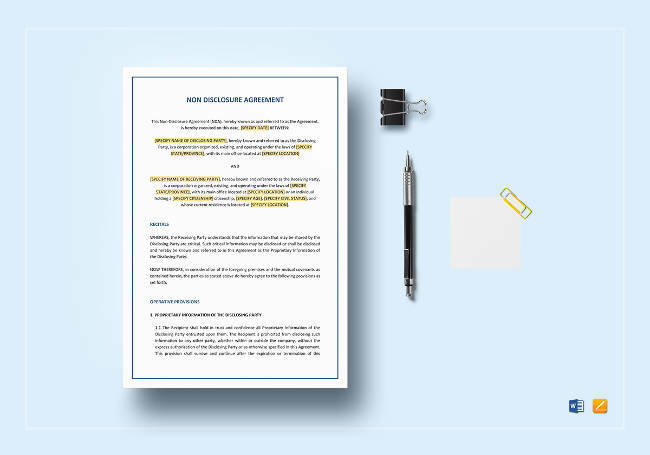 Employment agreements are important in fostering positive relationships between employers and employees, as they provide a sense or organization or structure at work, as well as stability and security for employees. 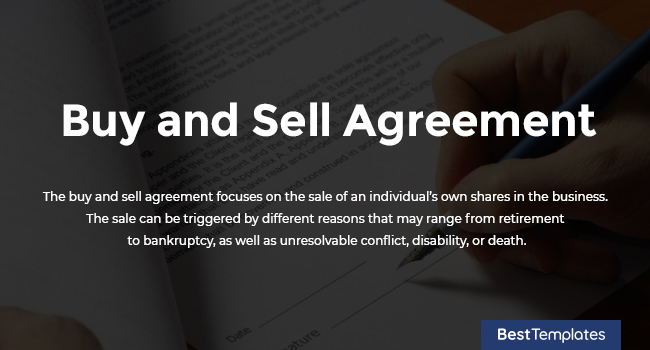 The buy and sell agreement focuses on the sale of an individual’s own shares in the business. The sale can be triggered by different reasons that may range from retirement to bankruptcy, as well as unresolvable conflict, disability, or death. Drafting the buy and sell agreement (also known as a buyout agreement) allows you to protect yourself from bad deals such as the business winding up in the wrong hands, or in court, where owners or heirs find the need to contest their rights and entitlements. Without proper drafting of this agreement, the owner or the heirs may not receive proper compensation upon exiting the company. Because of this, most companies draft buying and selling templates early on in the business operations to ensure that such risks are eliminated. 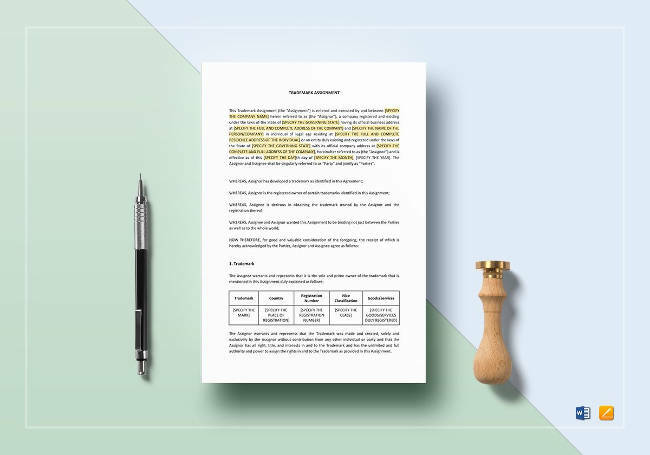 This agreement outlines the ownership, as well as the duties of member of a Limited Liability Company, allowing them to set financial and working relations between each of its members, as well as its managers. Among the things that should be discussed in the Operating Agreement include deals between partners and members, division and distribution of profits, the LLC’s managing team, individuals with votes in the management of affairs, and even how easy it would be for members to enter or leave the LLC. Other information such as selling stakes, competition with the LLC, introduction to new lines of business, dissolving the LLC, and tax consequences regarding the company set up should all be disseminated to the members. Answering all these questions thus remain important in this binding and governing document. 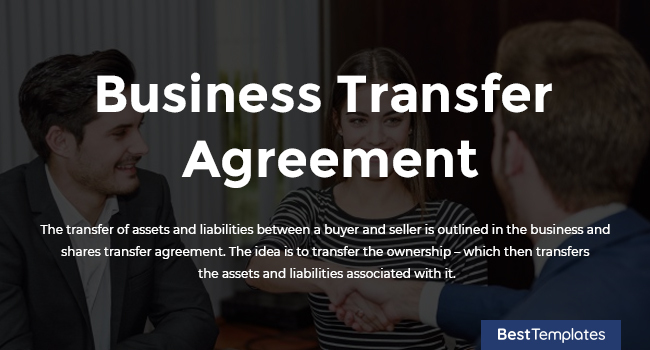 The transfer of assets and liabilities between a buyer and seller is outlined in the business and shares transfer agreement. The idea is to transfer the ownership – which then transfers the assets and liabilities associated with it. There is a large sum involved in such transfer, which is why there are different types of business transfers that could work depending on whether you are looking into asset or stock sales. Typically, buyers tend to buy assets where they can accrue benefits from, while the seller usually prefers entity sales for the benefit of paying tax on a long-term capital gain rate. 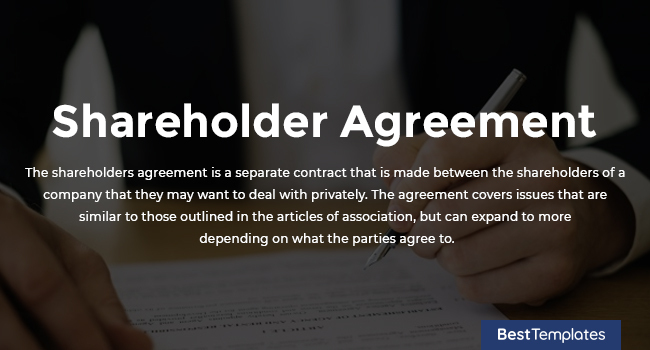 The shareholders agreement is a separate contract that is made between the shareholders of a company that they may want to deal with privately. 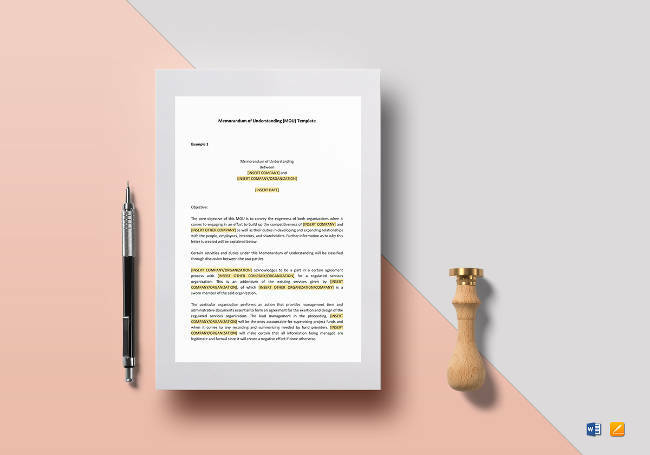 The agreement covers issues that are similar to those outlined in the articles of association, but can expand to more depending on what the parties agree to. 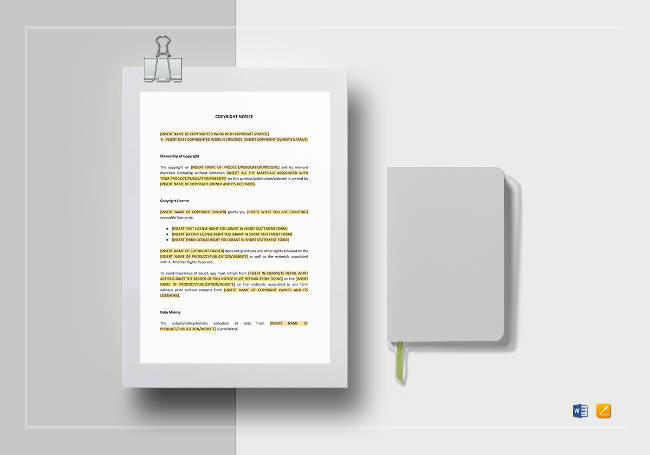 Among the things that are covered in the shareholders agreement include their rights to hold a seat on the board of directors, the appointment of the chairman of the board as well as the casting of votes, the consent requirement for different company issues including disposal of assets and issuance of new shares. Policies on dividends, intellectual property, procedures to be followed, and process following the death, incapacity, and insolvency of a shareholder should also be discussed. Agreement of Purchase and Sale of Shares by Shareholders may also be drawn as supporting document, as well as the Declaration of the Sole Shareholder regarding to issues associated with the company. An affidavit is a document that allows a person to make declarations under oath, and can be used by people for different purposes. The declaration that one makes that is written in an affidavit is considered to be legal and acceptable in requirements as stated in court proceedings. In fact, affidavits are considered to be legal instruments as it establishes truth of the declaration of any matter. Affidavits are used for supporting statements and other documents. In creating affidavits, it is necessary that the statements are clear in their approach, and must contain the deponent’s name, address, location, state and ZIP code, and contact numbers as necessary. After drafting the legal document, it should be signed in the presence of witnesses. Affidavits have the advantage of being formatted depending on the related works, and can act as supportive document in job applications. Signature and name affidavit are commonly used especially when changes are being made to such, for example, in the case of marriage, where one chooses to change her name and corresponding signature, as seen fit. Getting into business with family and friends may seem like the easiest thing to do, but no matter how close you are, drafting a partnership agreement is still necessary to avoid miscommunications and legal problems that may arise in the future. Partnership agreements clearly indicate the percentage of ownership of partners, as well as their control of shares in the company. They also discuss liabilities depending on the type of partnership the company has created, and what to do in case one or more partners want to end their partnership with the company. 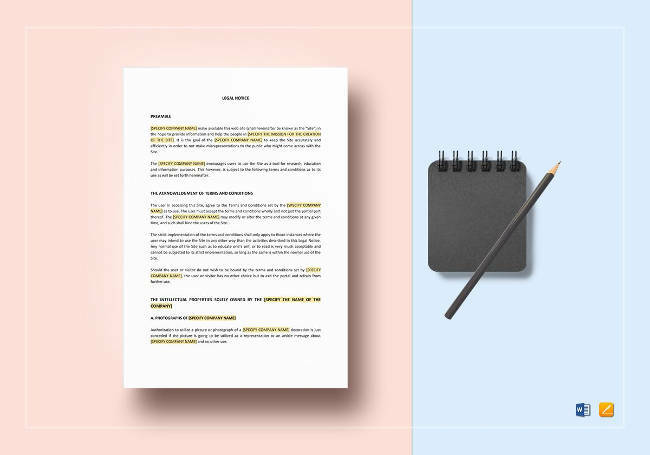 Partners in a startup business may want to start by creating a partnership agreement checklist so that they can properly outline the things that need to be explicitly written in the document. In the sales of goods or in the restaurant business, vendor partnership agreements may also be necessary to ensure a binding contract with vendors and other procurement services. Companies who want to establish their logo or company representation need a guide for registering a trademark. However, registering your own trademark may not always be necessary, as you can apply to get an assignment instead. Trademark assignments allow one to transfer the rights of the owner, its titles, and interests in a trade or service mark. When the excess of intellectual property starts to burden a company, especially in the maintenance of registrations, defense against third-party claims, and even the creation and marketing of the final product. 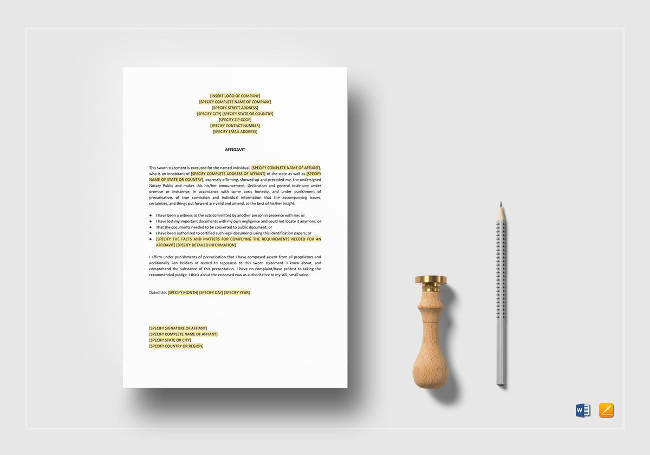 In order to create an effective and valid trademark assignment, it should be in writing, identifying the parties as well as the goods and services assigned. It is to be given for consideration, with a set date of effectivity. It is to be duly executed with one or both parties as signers. The notice of assignment is a document that informs a customer that the client’s accounts receivable has been assigned and payable to the factor. While not always necessary, however, it is an important document to have especially for a lender looking into an enforcement strategy. Notice of assignments are useful tools to have to create more flexible banking transactions. This document enables transfers to a party’s rights under contract to another as a way to ensure security. In order for the Notice of Assignment to be enforceable, the debtor should be notified of the amount due that he has been assigned to, as well as the payment that is to be made to the Factor. The rights assigned should also be reasonable, and it should be signed by the Factor or the Client. Copyright notices were once required as a condition for copyright protection, and still remains to be a requirement for older published works. The use of a simple copyright notice is important because it informs the public that a particular work or symbol is protected. It also identifies the copyright owner. In the event that a copyrighted work is infringed upon, then the person who violated copyright rules cannot state innocence on the infringement. The copyright notice should be affixed to copies of the work to give reasonable notice regarding the claim of copyright, and an author or copyright owner may be able to place a copyright notice on unpublished works to ensure that it remains under his or her control. 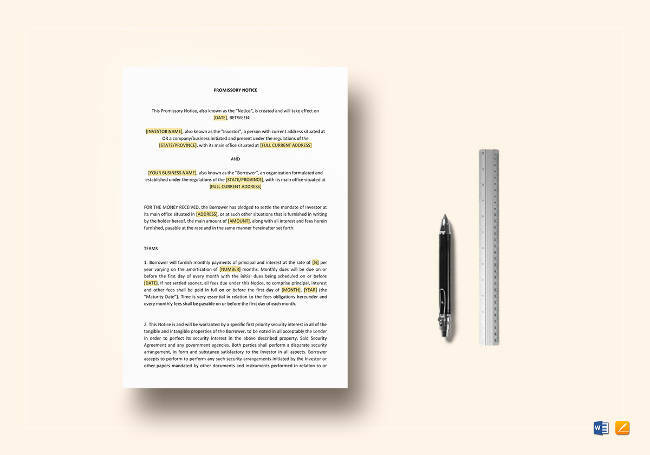 Copyright notice templates may prove useful for businesses that publish works on a regular basis, and will be an asset to the company to save time and effort in going over work protection. Many businesses make the mistake of thinking that commissioning a design agency to produce logos and marketing materials for the business will automatically give them the copyright for the works. This is not the case, however, because in the absence of the copyright agreement, the author of the work remains to have the copyright to what he or she has produced, even if it were commissioned by someone else. To avoid such a problem, it is important that you draw up papers for a copyright assignment. This document is used when the owner of the copyright document wishes to transfer ownership to another person. This is most often utilized in works that have been registered in the Copyright Office. Production and publication companies usually make use of such copyright assignments when they want to purchase rights of a work for their own in order to turn them into movies. Deeds of trust serves as security for a real estate loan, and is recorded with the county or registrar of titles where the property is located. The deed of trust is typically prepared by a lender upon agreeing to put up money to finance a buyer’s purchase, and is typically signed at the real estate closing. Some states prefer to arrange a deed of trust instead of mortgage agreements because the latter tends to create a lien against the real property. Some states require the assignment of deed of trust when the buyer of the property is borrowing some or all of the money they need to purchase property or assets. This is particularly preferable for lenders as it allows them to sidestep judicial foreclosure processes in case the borrower defaults on their loan payments. Key information that should be included in drafting a deed of trust template includes the amount being financed, the start date of the loan as well as date when the loan is expected to be paid in full, and the legal description of the property or the asset. Additional information includes floor plans, parties to the transaction, and even specific provisions, terms, and requirements as agreed upon by the parties. Other specifics and terms for adjustable rates may also be included. 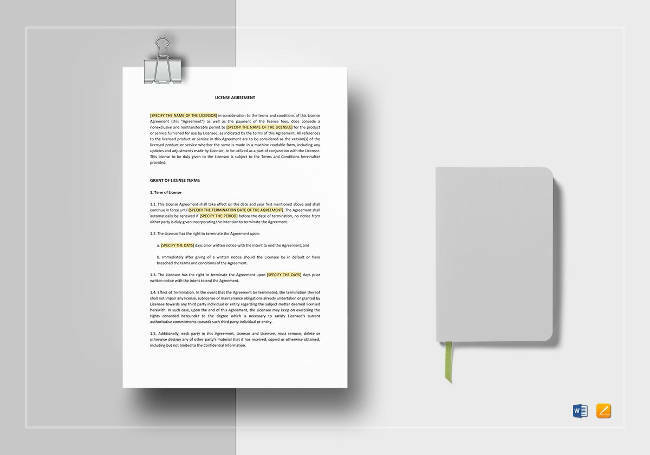 This legal document is used to transfer real estate and land property, as well as assets from one person to another. The deed of assignment should be kept safe at all times as it can be defined as a document that guarantees or promises the transfer of a property from one party to another. The Deed of Assignment serves as proof of transfer of ownership of a property, although it does more than that. It will also show stipulation regarding the actual date when the ownership assignment is set to commence. There are several situations wherein the deed of assignment is found to be necessary, although the most common remains to be that of the transfer of property. 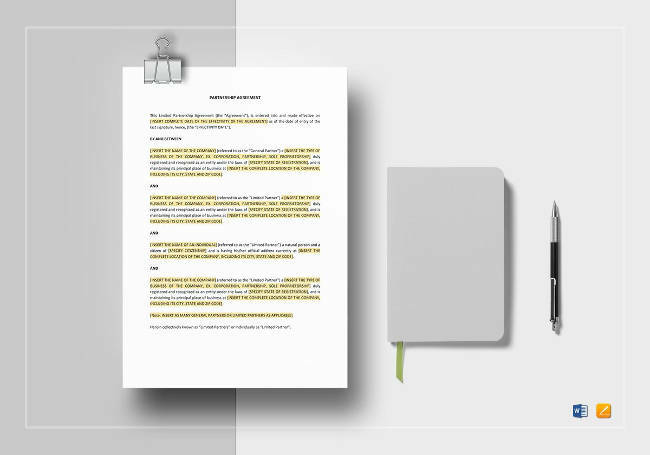 A assignment template acts as a temporary title deed, and is useful every time a property is to be sold, such as before the title deed is issued. The certificate of incorporation comes as a form of license to form a corporation as issued by the state government. The certificate of incorporation should show the full official name of the company as well as its registration number; the date of incorporation or the date the company was formed; the jurisdiction in which its registered office is based; and the type of company that it is, whether it is public or private or limited or unlimited. It also shows details of the issuing registrar and should bear an official seal as necessary. The certificate of incorporation is particularly useful for when your business decides to open a bank account, or when the company is issuing shares to new investors. It will also be used when the company decides to apply for a loan or any other kind of funding, as well as if you are looking to sell your business. License agreements serve as a legal contract between two or more consenting individuals, known legally as the licencor and licensee. 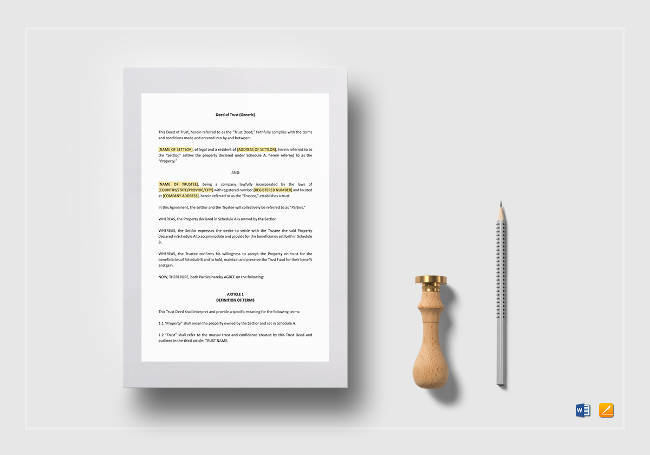 Stipulated in this document are agreements that grant the licensee the right to use the patent or trademark by the licencor to produce and sell goods or apply brand name. In exchange, the licensee usually adheres to conditions regarding the use of such property and agrees to make payments that are then known as royalties. 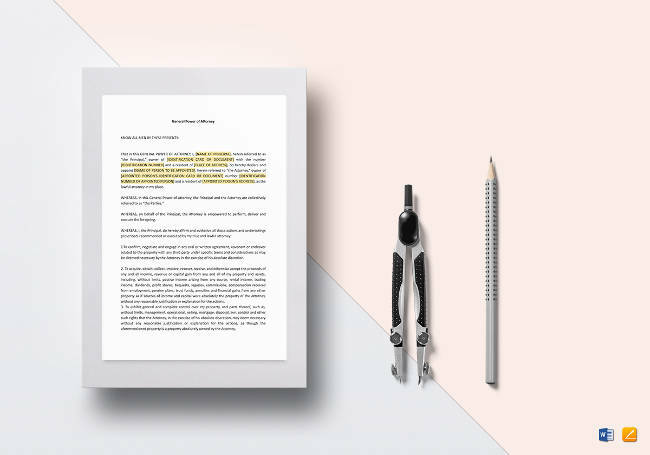 There is vast ground to cover regarding licensing agreements, which is why they can be lengthy and complex (and why many use templates to get them started). They can even cover something basic or very specific enough as to warrant exclusivity or territorial freedom such as worldwide license agreements, as licencors see fit. These documents cover financial arrangements as well, with royalties typically ranging from 6 to 10 percent of total sales depending on properties involved, among other things. The Notice of Litigation is a document that is usually entered into public records by the person filing the lawsuit, in order to notify interested parties of a claim involving a certain property. When the said property is transferred to another during the timeframe covered by the Notice, it is then transferred, along with the title. However, doing so may compromise the validity of the property for future owners. In other cases, a litigation hold notice obliges a person to preserve and prevent the deletion or destruction of information and records that are important in a case, whether from an in-house legal counsel of the company, a government investigation, or a company audit. In creating a legal hold notice, it is essential that you explicitly name all the documents and properties to be preserved. The notice is to be treated as a record of the things to be preserved as well as the time period and description of each. It should also define the scope of what is considered to be a “relevant” document – and this could include paper files, emails, instant messages and chat, or even text messages that are stored on the company network, or even on an employee’s laptop or mobile device. It should also state the duration of the litigation hold, when a person is required to preserve said documents or assets until such point that it is expressly released. 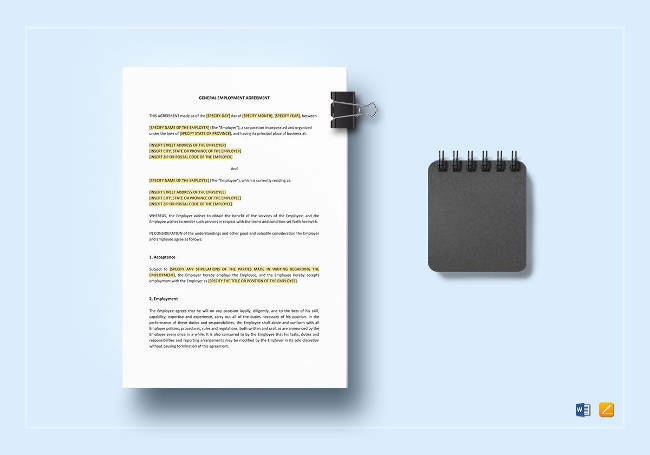 A well-drafted litigation hold will require mandatory compliance with the company’s requirements, and shall contain all essential information in order to avoid destruction of the named assets. This legal document reminds the receiver about his acts that have knowingly or unknowingly created a problem. The receiver of the notice shall be made aware of the process that could legally affect their rights, obligations, and duties. Upon serving of the notice, the receiver will get a time frame to respond to it, or else the sender can file a suit against him. While failing to reply to a legal notice is not a criminal offense, doing so can put a hold to future filing of other cases. Failure to reply to the final notice of impending litigation can put a blame on the receiver of the legal notice for not complying with the requirements, and can then be used as root cause for filing a case. 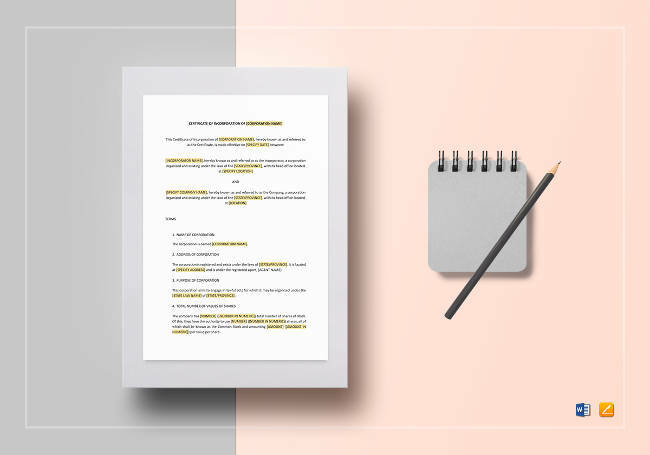 The Waiver of Notice waives a person’s right to formal notification, and can be used for several situations, including the process of holding an emergency meeting for a company’s Board of Directors. The use of this waiver is to allow legal proceedings to go on in a more timely and efficient manner. However, using a waiver of notice may be risky in case an interested party may fail to grace his presence when required for important meetings or hearings. The term “waiver”, is used in many different legal contexts, which suspends a person’s legal right, may it be constitutional, statutory, or contractual. The power of attorney grants a person the legal rights of another. The person granting the rights is known as the “principal” and the one receiving the power is the “agent.” The agent serves as stand-in for the principal and acts on his or her behalf regarding financial matters, or as stated by the document. The agent can do anything that is required of him regarding transactions, including, but not limited to, withdrawing funds from the principal’s bank accounts, trade stock, pay bills, and cash checks as necessary. It is important to have complete trust on the person whom you’re going to bestow a power of attorney to, as he or she can control all your financial transactions and assets. The power of attorney is very convenient especially when one is not able to take care of his or her own financial affairs, such as for extended travel, illness, or mental incapacity. This is especially important because a standard power of attorney normally gets terminated upon the mental incapacity of the principal. However, a durable power of attorney can continue beyond mental incapacity as necessary. Executing a power of attorney have different requirements per state, however, in using a template, it is important to use a more cautious approach, so it is safer to indicate the presence of two independent witnesses. As indicated in its name, the essence of the promissory note is a promise that a borrower agrees to pay the lender back the amount owed at a future date, usually with interest. While it is easy to draft a promissory note for smaller amounts, mortgage promissory notes can be long, especially if it contains every conceivable circumstance in its draft in order to fully protect the lender. Such strictness is necessary from the standpoint of the lender as problems with payment can directly result to a costly litigation. Loaning money without documentation makes it difficult for parties, especially with no demand to pay promissory note. Lenders may find it difficult to prove that a loan took place, while borrowers may not easily find proof of payments due, and whether or not it has been satisfied. Whether you are starting or selling a business, it is important that you know what legal documents you have to draft. 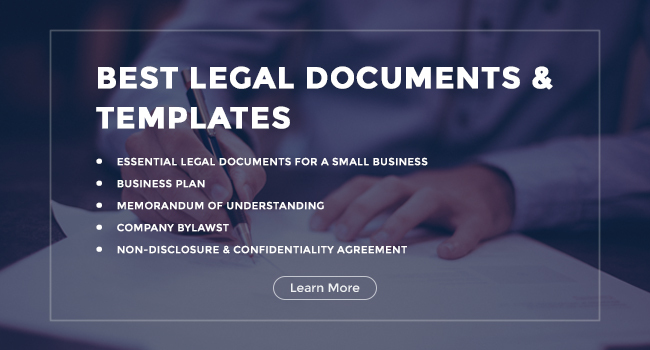 Small business agreements and contracts are necessary to ensure that things run smoothly, whether it is with iron-clad contracts, bylaws, memorandums, or even legal notices, make sure that you know which legal documents works best for your business needs.